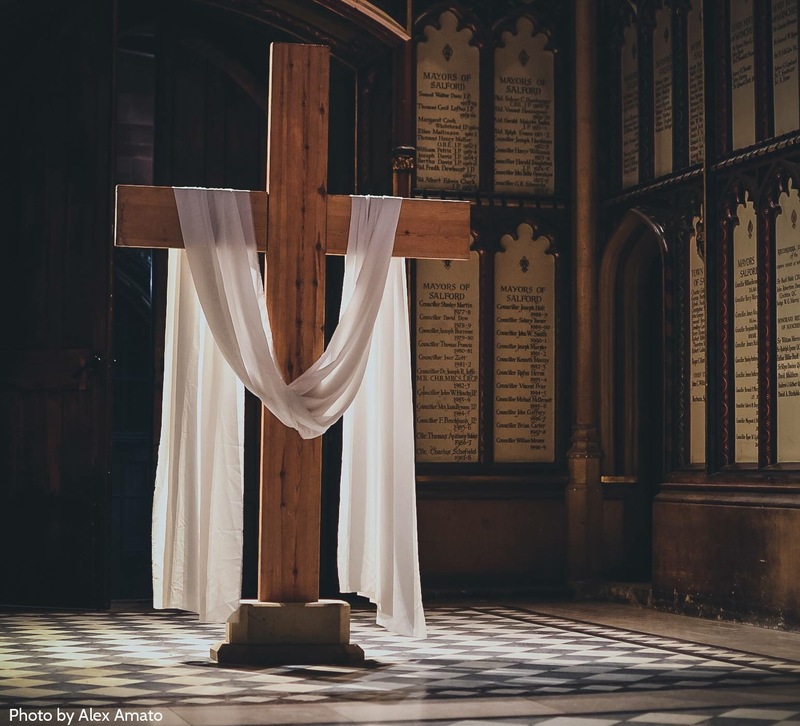 during the Easter Eucharist and again at Pentecost – I would like us to waft some incense, which was indeed one of the gifts offered by the magi to the infant Christ, and is often mentioned as representing both the holiness and the presence, of God. Men’s Pub Night – Thursday 25th April – 19:00 – Rote Kapelle – email pints@stcatherines-stuttgart.de if you would like to join us. 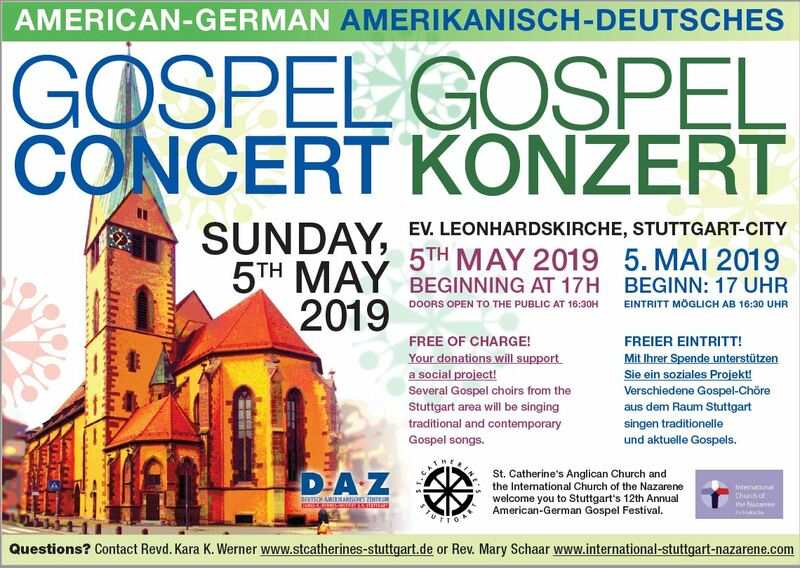 St. Catherine’s Anglican Church and the International Church of the Nazarene along with DAZ (Deutsch-Amerikanisches Zentrum) welcome you to Stuttgart’s 12th Annual American-German Gospel Festival. Donations from the retiring collection and refreshments will go to help build a well in Yemen. Donate refreshments and baked goods. 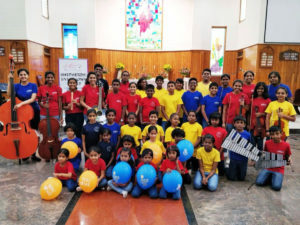 Clean up after the concert 18:30 and beyond. Please offer donations of help and of refreshments welcome on the sign-up sheets in the Anglican Centre or speak to Lauris or Gary. 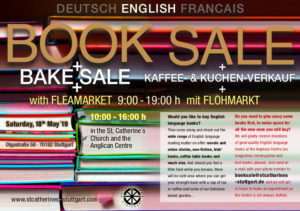 Helpers wanted for St. Catherine’s Booksale! 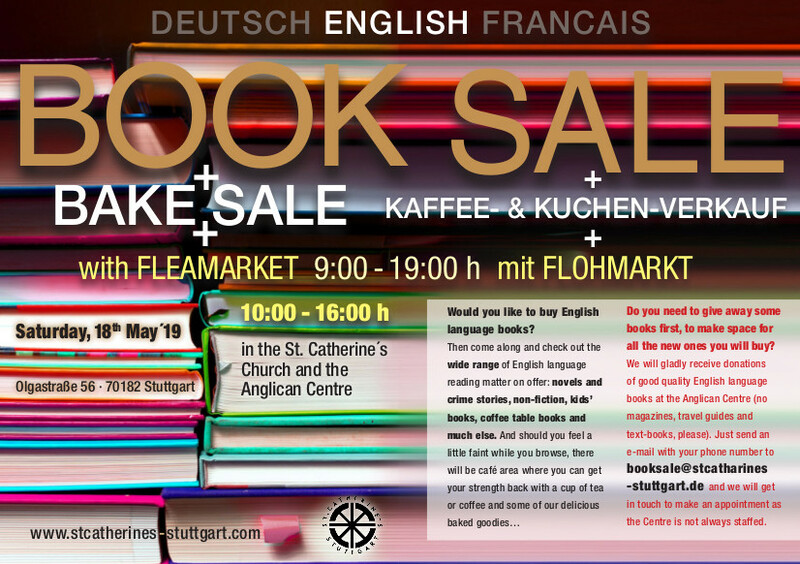 If you have time to help, then please let Susanna Thielecke know – best of all by sending her an e-mail (booksale@stcatherines-stuttgart.de). There are other ways in which you can help as well – for instance, by telling all your friends and acquaintances about the event. 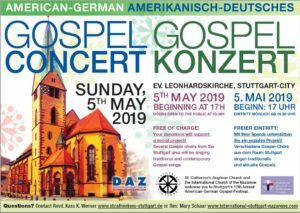 We have advertising flyers, so come by the Anglican Centre and pick some up, or take some after the next service you attend. Finally, we are always happy to receive donations of good quality English-language books – they can either be dropped off at the Anglican Centre or brought along on the day.